If you’re like me and you want to donate blood but don’t know where to do so, come over to Aman Suria in Petaling Jaya! 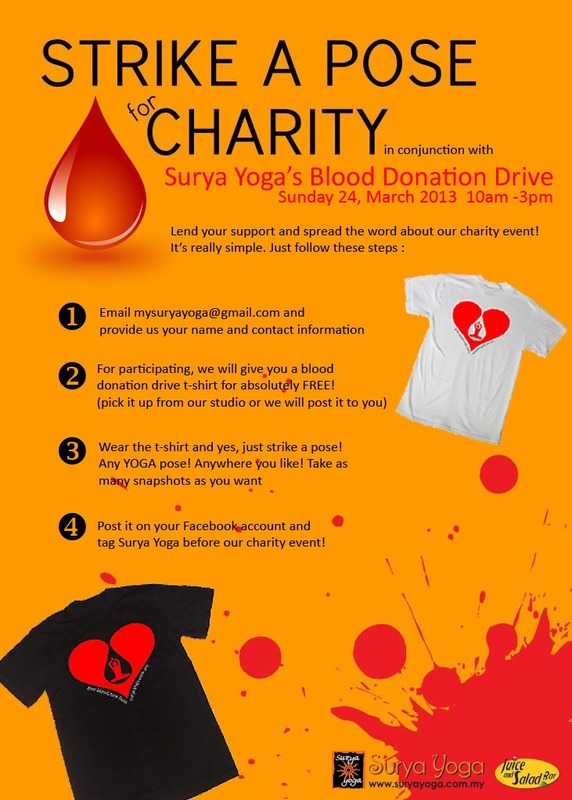 Surya Yoga is having a blood donation drive this Sunday, 24th March 2013 from 10am to 3pm. There will be an Anger Management talk at 10.30am, and another talk by a National Blood Bank officer at 1.30pm. Even if you can’t donate blood, you are free to come over to join the talks and enjoy the light buffet lunch. For more information, please visit Surya Yoga’s blog and their Facebook Event page. Strike a pose for charity! Here is my contribution in the form of my “syiok sendiri” photos… of yoga poses!